Bidhan Chandra College (Government Sponsored), Asansol, District Burdwan, West Bengal is a co-educational institute established in the year 1961. The members of the Asansol Educational Development Committee, a Relief and Welfare Society took initiative in founding this college and Sri Sasthi Narayan Gorai donated the sum of Rs.1,11,111 to support their noble cause. 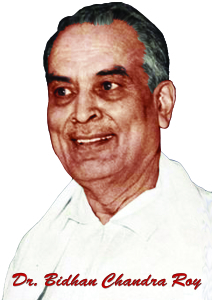 The institution owes its name to Dr. Bidhan Chandra Roy – an illustrious son of Bengal and one of the early Chief Ministers, and its foundation stone was laid by Dr. Sarvapally Radhakrishnan, an internationally acclaimed scholar of Indian Philosophy and the then Vice President of India. Since then, we have been one of the major higher-educational institutes of West Bengal, affiliated to the University of Burdwan and approved by the University Grants Commission. Located in an urban area of the still most significant industrial zone (Asansol-Burnpur) of the state. At present, the college runs in three sections (morning, day and evening), offering various undergraduate courses (both honours and pass course) in the arts, science, and commerce streams. In arts honours – Bengali, English, Hindi, Urdu, Sanskrit, History, Political Science, Economics, Philosophy, and Geography are offered; in science honours almost all major subjects like Physics, Mathematics, Chemistry and Zoology are taught ; and in commerce, honours in Accountancy is allowed to be opted for alongside various other professional courses like BBA, BCA, and Computer Science. To teach human beings work hard, act selflessly, and march ahead steadily on the way of progress so that they may become instrumental in bringing a peaceful revolution which would turn this world into a better place for all.